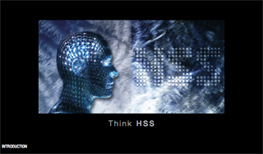 First because we have assembled the expertise of the members of the HSS Forum. Second, because special emphasis has been placed on smart drawings and photos which provide explanations at a glance. And finally, because this is a guide for smart machinists, always ready to explore all the possibilities offered by HSS cutting tools. It provides both basic education and advanced training about machining technologies involving HSS cutting tools: drilling, tapping, reaming, milling, broaching, gear cutting and sawing. > improve productivity and machining results. The properties of HSS tool materials and coatings are reviewed, and the latest technical developments are discussed. We hope this guide proves useful for you.